$199 setup, $99/month. Variable ad budget. Have you ever visited a website only to see ads for that business as you browse the web in the following weeks? That's retargeting at work! It allows you to display ads solely to people who have already visited your site. This gives you a second chance to convert those visitors into leads. Retargeting works by placing a filed called a “cookie” on the computer of your website visitors. As they browse the web, ad networks use the presence of your cookie on someone’s computer as an indicator to show your retargeting ads. Our team will start preparing mockups of your creative ad sets and will send them to you for review. 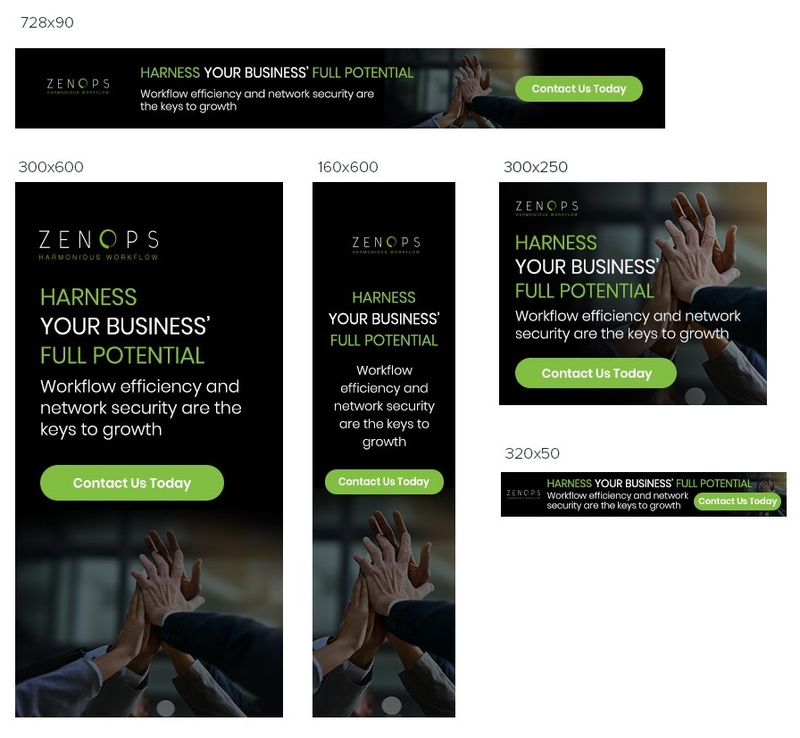 Upon your approval, we'll create additional versions of ads to fit the various dimensions required for banner ads. We'll upload your ads to our retargeting platform, set your campaigns to target your regional location, segment your audience based on your website visits and start running your ads. Each month, you'll receive a report with details about your campaign performance and we'll bill you for the budget spent on your campaigns. After 3 months, we'll do a full analysis of your campaigns, drop your worst performing ads and replace them with a new ad set. Your ad budget is determined by how often your banners are displayed (typically referred to as Cost Per Mille or CPM). And the number of times your banners are displayed is primarily determined by how many unique visitors come to your site and are subsequently added to your ad audience. A site with 1,000 unique monthly visitors would likely spend less than $200/month in ad budget and we can set a budget cap to make sure you don't spend more than you want to. Of course! There are a lot of different options when it comes to retargeting. We'll start out by creating 2 ad sets that focus on the overall benefits of your business, which gives us a good foundation to expand upon. For example, we can create additional ad sets that promote a specific offer like an eBook or a free consultation. We can even create ad sets that will display only to people who have already submitted a contact form on your website, so you can continue advertising to them as they work their way through your sales funnel. Each additional ad set costs $100. It all depends on which websites your audience visits after visiting your website. We use Google Ads for managing our retargeting campaigns. With more than a million websites, apps, and blogs in Google Display Network, your ads can potentially display on any of the websites that use Google Ads for their advertising space.